Milan-Linate airport, also known as Enrico Forlanini airport, is a true city airport, located just 7 km from central Milan. It is the third largest international airport in the area of northern Italy. 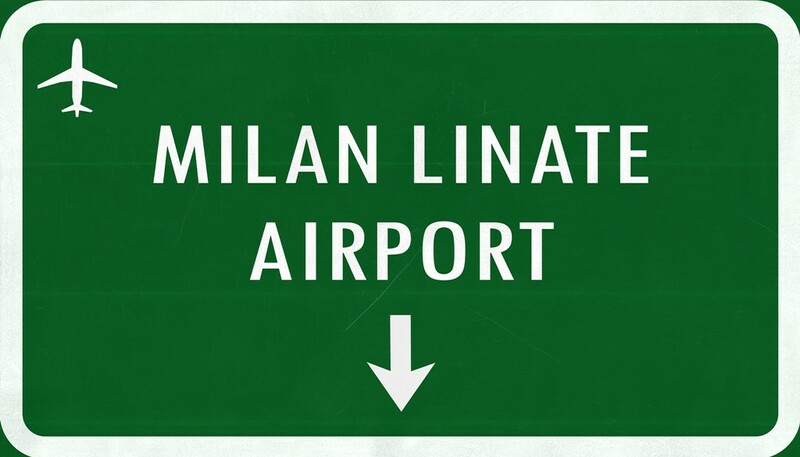 Every year, Linate counts more than 9 million passengers. Travelling to and from the airport is easy, due to its vicinity, and there are a few options to choose from. Airport bus – there is a shuttle bus company that connects the airport and the city center. Journey time is approximately 25 minutes, with the possibility of extended ride during rush-hours on the highway. The bus departs every hour and the ticket costs 5€. Check the schedule and buy your ticket here. Public transportation service – the bus: To reach Milan city center, take the ATM city bus number 73 that will take you to San Babila metro station (near Duomo). The ticket costs 1.50 euro, is valid for 90 minutes and can be purchased from the machines at bus stops or at newspaper stands inside the airport. The bus goes every 7-8 minutes, every day, starting from 06:09 AM. The last one leaves at 01:16 AM. Transfer: If you wish to have more comfort, or you have a lot of suitcases, you can always book the door-to-door transfer to your accommodation in Milan area. If you wish to pre-order a transfer, you can do that through a transfer company (even online), a professional driver will wait for you in the arrivals area with a name sign, and don’t worry if your plane is late, the transfer company will monitor your flight arrival. Taxi services – airport taxis are available and from January 2015 apply a fix rate for the transfer from Linate airport to any destination within Milan city center: approximately 20 euros one way. You will find the taxi at Arrivals area (ground floor), exit number 5. Renting a car at Linate airport – all the major car rental companies, like Sixt, Avis, Europcar, etc. have their offices at Linate airport, along with some local rent-a-car companies, you can compare price and rent a car at the Linate airport here. All car rental agencies are located in the Arrivals hall. Renting a bus at Linate airport -. If you are a large group travelling to a hotel or other form of accommodation in Milan, renting a bus is often the most economical and hassle free way of doing so, this of course also applies if you are travelling to any other city in the region. If you consider renting a bus, you should arrange for this at least a couple of weeks before your arrival, so you have time to arrange all the details, like meeting point / pick up point at the airport, most companies are used to picking up groups at the airport, so they can advise you about the options. Milan to Bormio and Livigno: It is good to know that there is schedule transfer bus from Linate airport to Alta Valtellina (Bormio, Livigno, Santa Caterina Valfurva and Valdidentro). Buses go every day in the winter season and the price for single journey is from 37 euros. There are two buses on Saturday, at 13:30 (1:30 PM) and 16:30 (4:30 PM) and from Sunday to Friday there is only one at 14:30 (2:30 PM). Buses depart from International arrivals area, exit number 6. It is necessary to make the booking at least 3 days in advance. You can do it online of course. Milan to Chamois: From Milan central station take the bus in direction to Aosta, and get off at Chatillon. There you have to change to another bus to reach Buisson (the ride takes about 30 minutes). Once in Buisson, take the cableway Buisson-Chamois to reach the village of Chamois. The village itself is not reachable by car/bus, etc. In case you are travelling by train from Milano, take the Aosta-Chivasso-Ivrea line and get off at Chatillon. From there again, the bus to Buisson and the cableway up to Chamois village. Milan to Champoluc: From Milan central station take the train to Novara. Trains depart every 30 minutes. Once in Novara, take the bus 407 to Verres. Buses go every 4 hours, so you might have to wait a bit, depending on the connection. From Verres take another bus to reach Champoluc. The line 398 will take you there in 50 minutes. The bus goes every 3 hours so it would be best to check the timetables in advance and coordinate the train and the buses to minimize the waiting time between transfers. Milan to Bolzano: Surely one of the easiest routes. From Milan you can reach Bolzano by bus and by train. Trains run hourly and even though you have to change trains at Verona Porta Nuova station, there will be a minimum of waiting time and the entire journey lasts for less than 4 hours. For those travelling by bus, there are different lines connecting Milan and Bolzano. The Alto Adige region buses go every 20 minutes between Milan central station and Orio da Serio Airport where you have to change the bus to reach Bolzano. Buses go every 2 hours, so check the timetable in advance to minimize the waiting time. There are also direct buses going 4 times a day from Milano Lampugnano bus station that will take you to Bolzano in about 4 hours, with regular stops at Bergamo area, Gardaland and Trento. A: No, the last bus from the airport is at 23:30 (11:30 PM) and transfers and taxis run 24/7. A: Yes, there are several hotels located around the airport, at short distance, offering quick connections to the terminal building (if arranged with the hotel staff). However, the closest one is 3 km away. A: Yes, of course. The best way would be to take the airport shuttle bus to reach Milan Central station. There is also a luggage storage room (on the ground floor, next to the exit for Piazza Luigi di Savoia) open from 6 AM to midnight. The price for the first 5 hours is 5 euros, after that you will pay less than 1 euro per hour. Q: I need to reach Milan-Malpensa airport. How do I do that? A: There is a direct bus line between the two airports. From Linate you can reach Malpensa Terminal 1 and 2 in about an hour and a half. The bus goes 5 times a day (every two hours, from 9:30 AM to 6:20 PM). The cost of the ticket is 13 euros. Q: I am continuing my journey outside Milan. Are there any direct lines from Linate airport to other cities? A: Yes, there are a few direct lines from the airport (as suggested in the table above), but you can look for any desired route on GetByBus.